Given Opolopo's impressive track record over the last decade check his releases on Especial Records, Local Talk, Swedish Brandy and Sick Trumpet for proof. 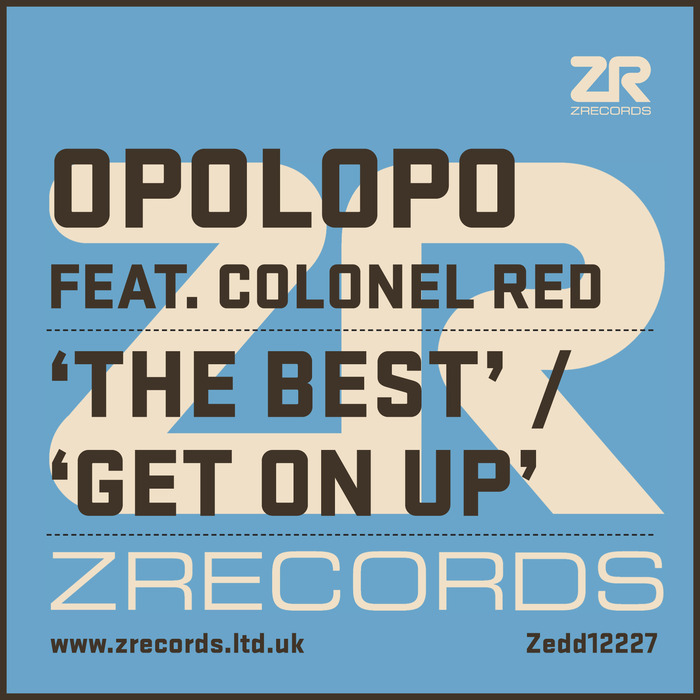 You'd expect this outing on Z Records to be rather tasty and of course it is, with Colonel Red collaboration "The Best" delivering a killer chunk of house-tinged contemporary electrofunk. Full of vintage-sounding synths, classic percussion touches, clipped guitars and wonderful vocals, it's a soulful delight. "Get On Up" is almost as good, offering up a breezy blend of piano house, undulating synth bass and late '80s US garage flourishes. It's the sound of summer - for those enjoy their music warm, positive, synth-heavy and soulful, at least.